Wartime bullets have been handed into Bexhill police station to be disposed of after spending years sitting in a house in the town. On Thursday (January 5) a Bexhill resident went to the town’s police station by prior appointment with the five-round clip, thought to be .303 rifle ammunition of possibly World War Two vintage. The bullets were left at the man’s address when the previous owner moved out some years ago. The rounds will now be safely disposed of. 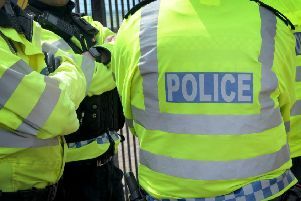 It is believed the Bexhill man decided to come forward with the bullets after seeing the recent publicity about police recovering a World War Two Spitfire machine gun from an address in Hastings. PCSO Daryl Holter from Sussex Police said: “It is good to know that these bullets are no longer publicly accessible. “While these rounds are safe enough when not interfered with, we’ve no reason to believe they are not still live, and now there is no chance of their falling into the wrong hands. “We encourage anyone who has any unregistered but usable firearms-related items, of whatever vintage, to consider surrendering them for safe disposal.